What an absolutely adorable design of a woodland bunny! This would make a cute addition to children's apparel or bedding! 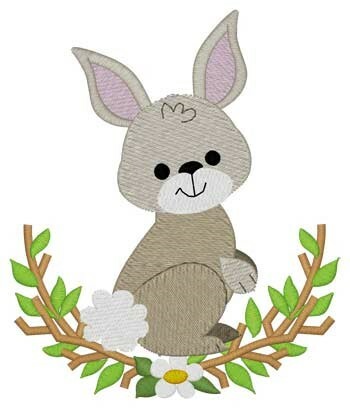 Dakota Collectibles is happy to present Woodland Bunny machine embroidery design which has 10718 stitches and is [83.82 mm x 98.30 mm] large. If you would like to view more embroidery patterns please search on our embroidery designs page.